Tile Refinishing: Is It a Better Option? Over a period of time, the tiles in your bathroom can become porous and stained. This leads to the buildup of dirt and germ deposits settling there permanently. Unfortunately, you can’t get rid of discoloration with mere household cleansers. Many people believe that tile replacement is the only option, which is a very expensive and messy affair. Of course, you don’t want to spend a lot of money, but you also want a complete bathroom makeover. So, what choice do you have? Well, there is the tile refinishing method. Yes! Tile refinishing, also known as tile resurfacing or tile re-glazing, is an affordable, durable and beautiful method to give a whole new look to any bathroom. 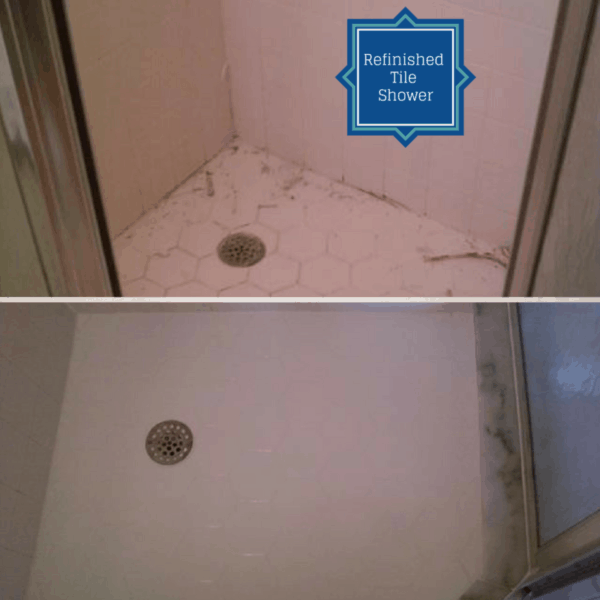 Unlike tile removal and replacement, tile refinishing transforms the appearance of a bathroom in the simplest and easiest way possible. The best time to refinish the tile is when the bathtub in your bathroom gets refinished or replaced. Since this method is different from ripping tiles out and retiling, you don’t need to worry about any of the mess and disruption. In fact, you can even expect to save up to 70-80% of replacement costs. Isn’t that great? If you are interested in refinishing the tiles in your bathroom you should contact the experts, Total Koatings. Although you have the option of buying the necessary products and tools from the store and getting everything done on your own, you should really hire an expert. Hiring the right professional has its own benefits. Not only will you get high-quality work and quality non-toxic products but you will also get a 5-year warranty. So don’t take a chance on low-quality products and DIY installation that may not go according to the plan resulting in a larger expense to correct. Instead, call Total Koatings or fill out the form for a quote on quality tile re-glazing. I hadn’t thought about it, but it does make sense to refinish your tile at the same time you’re doing the bathtub. After all, refinishing takes quite a lot of time and effort, so it is better to knock them both out at once. Of course, it also means that you won’t have to deal with cleaning up two big messes as well. I like how tile reglazing can revamp your bathroom tiles without having it replaced.d As you’ve mentioned it’s affordable and durable. I notice our bathroom tiles starting to have permanent stains and discoloration. In case, this will become an eyesore, I’ll have to hire a reglazing service immediately.